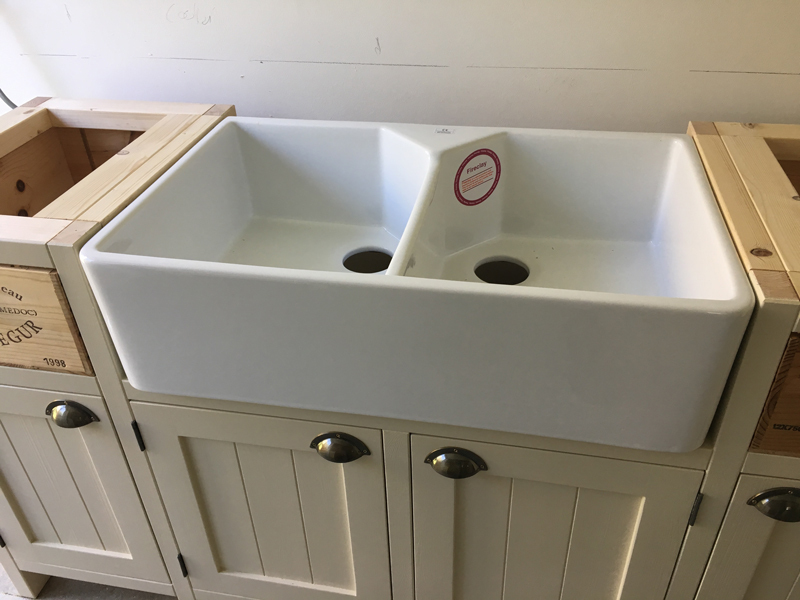 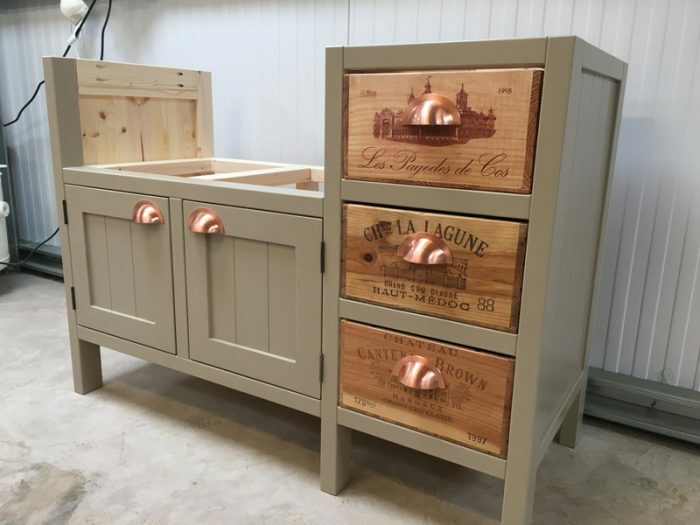 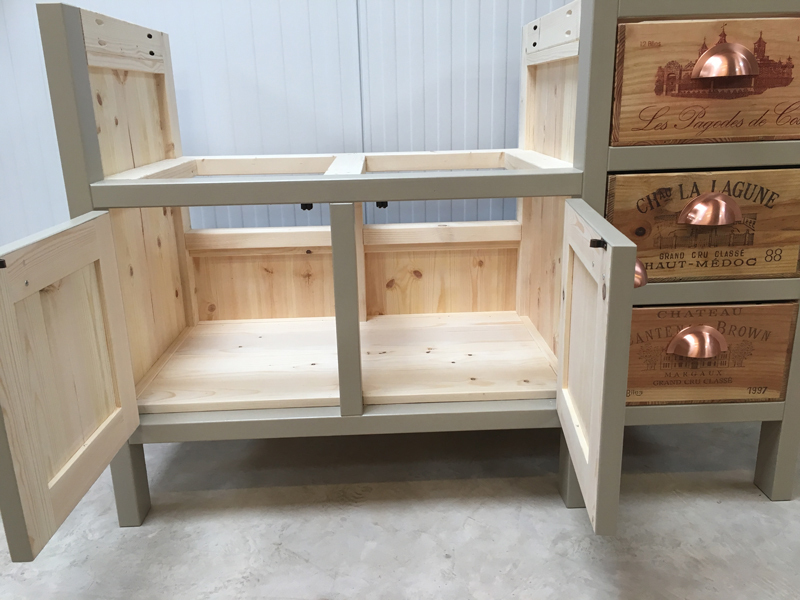 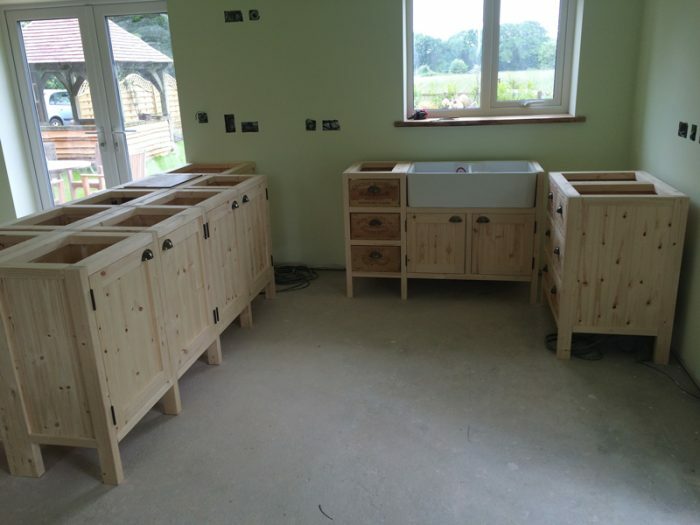 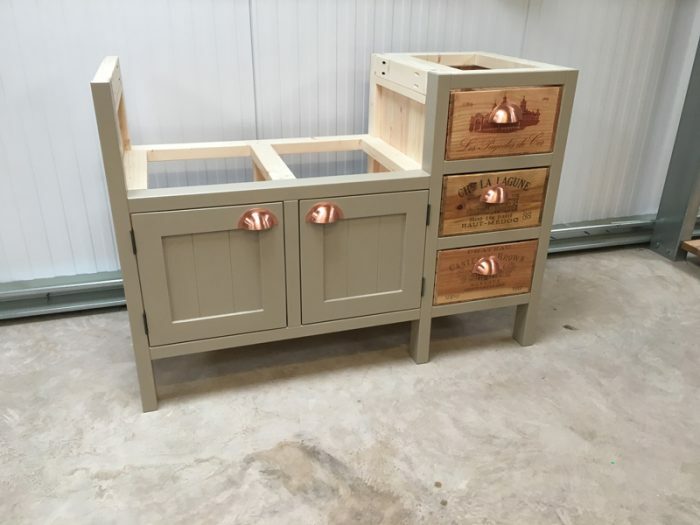 3 Drawer Belfast sink unit to suit a standard 800mm wide 220mm height double bowl sink. 3 Drawer Belfast sink unit to suit a standard 800mm wide 220mm height double bowl sink. 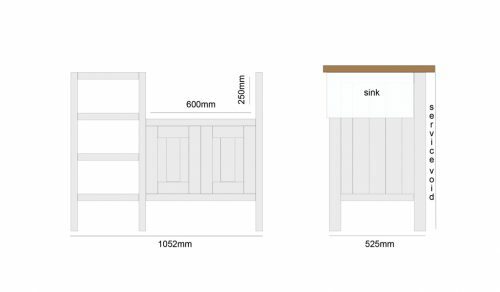 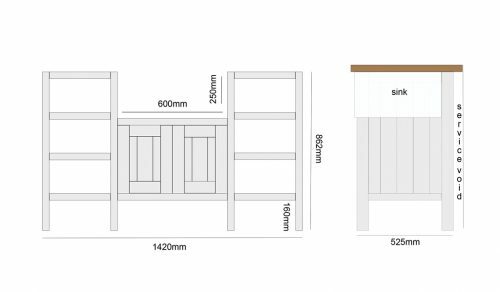 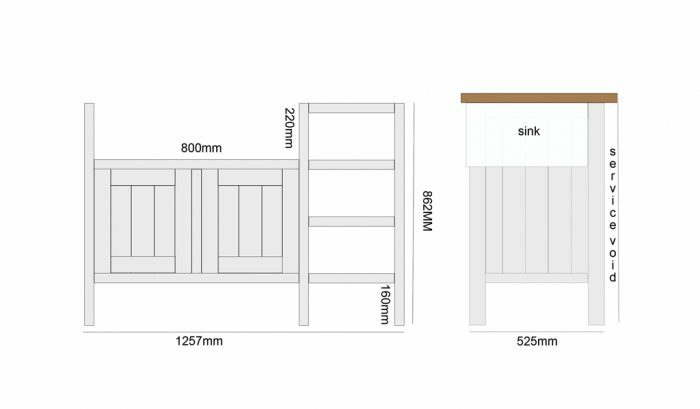 We always contact you to find the exact size of the sink you will use before making the unit. 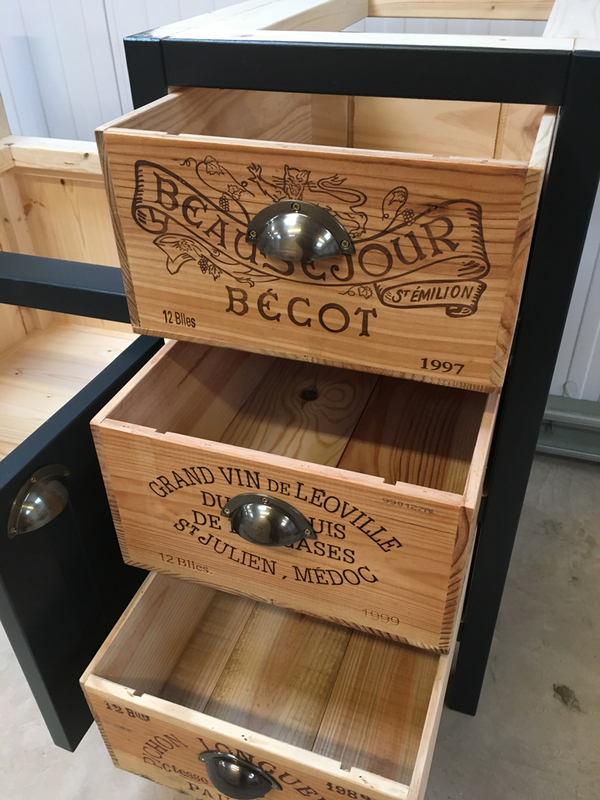 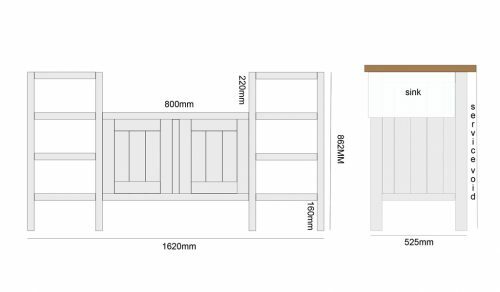 The standard leg height of this unit is 160mm and the drawers can be on the left or right of the sink.